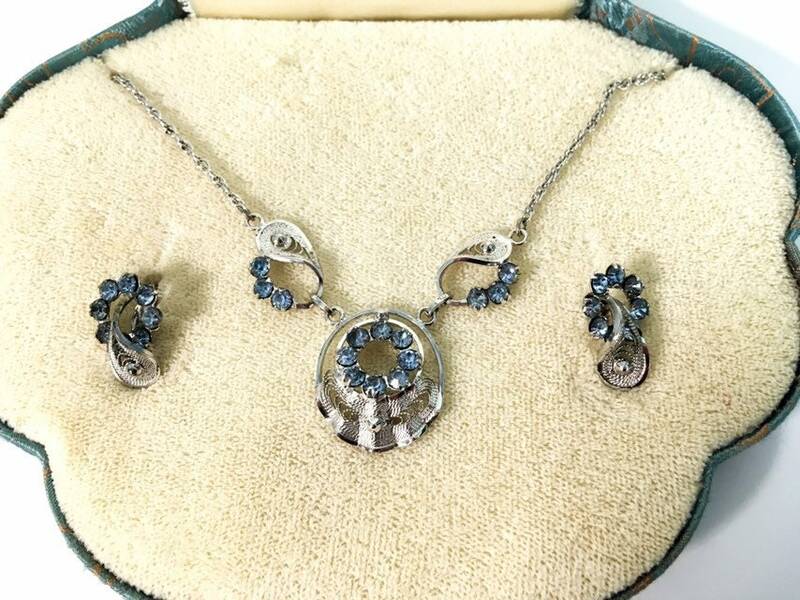 A great vintage Am Lee Sterling Silver filigree matching earring and necklace set in its original case. 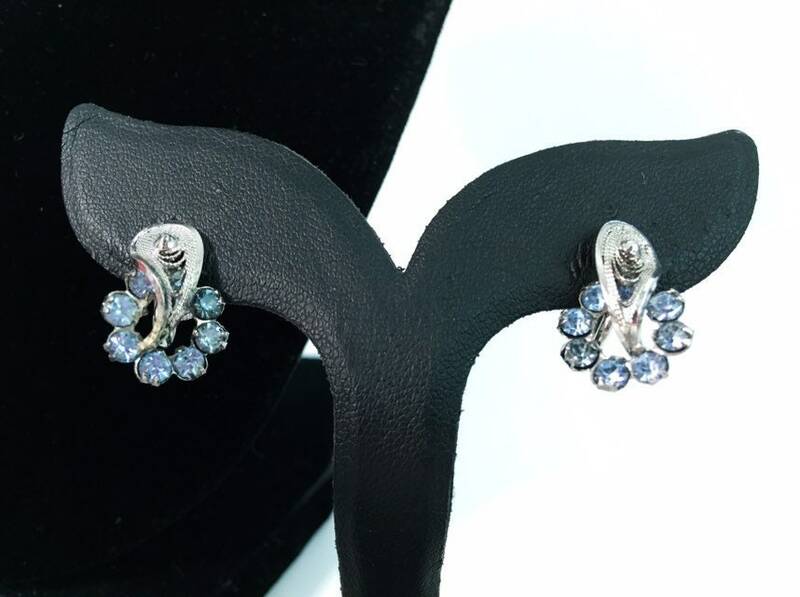 The set features fine ornate cannetille silver designs and blue paste stones. 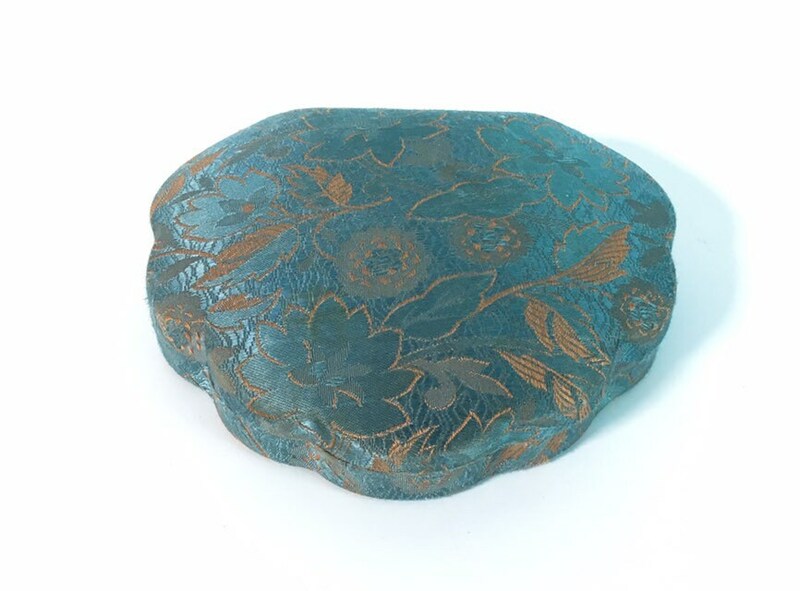 The three-piece Demi Parue set comes in the turquoise patterned satin case that is in the shape of a clam. 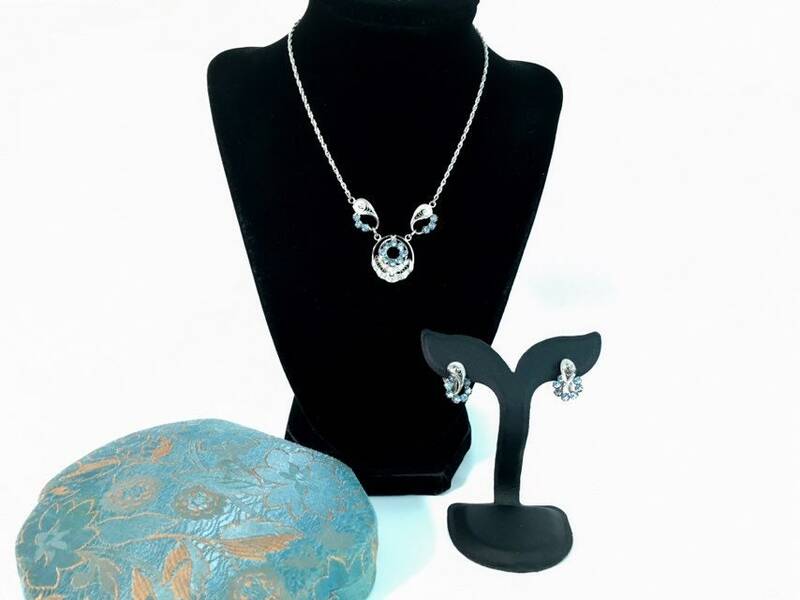 The set includes the necklace and two matching screw back earrings. This set is from the mid century. The Am Lee Jewelry Company was in business from 1946 and into the 1960s. 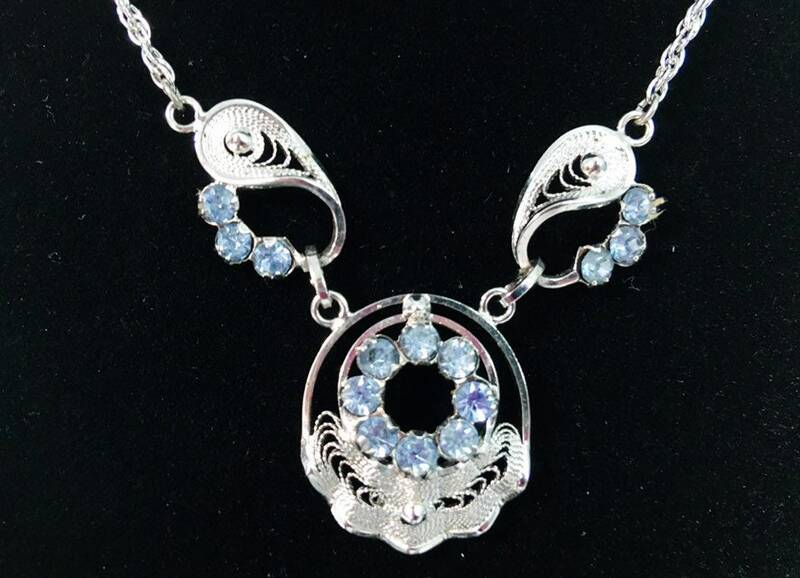 They produced hand-made sterling filigree jewelry crafted and used hand-set high quality rhinestones in their designs. The company was located at 80 Clifford Street in Providence, Rhode Island. 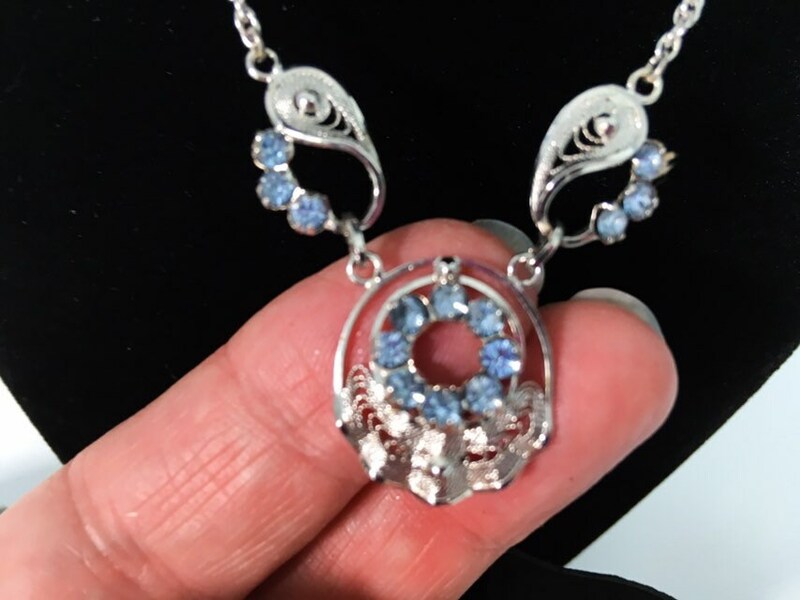 The necklace and earrings are hallmarked AM LEE STERLING. 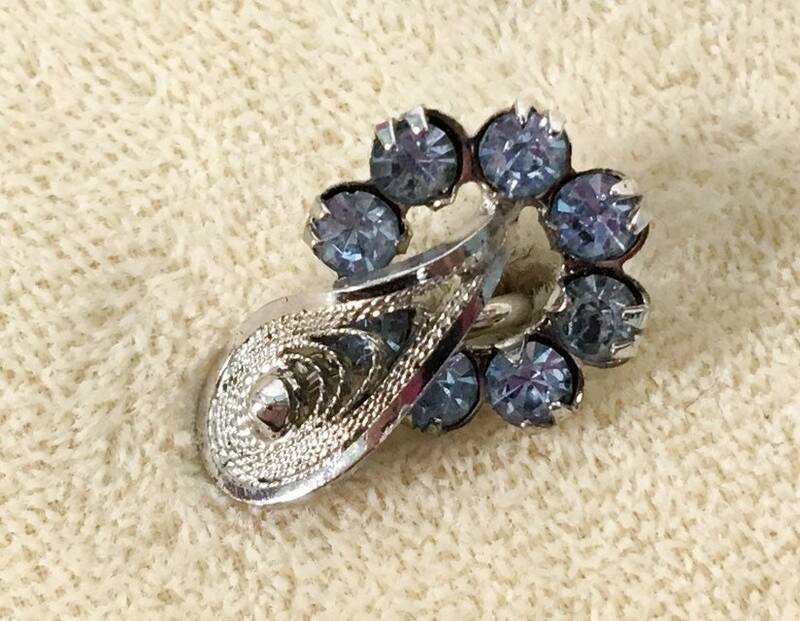 The earrings are screw backs and stay on securely. 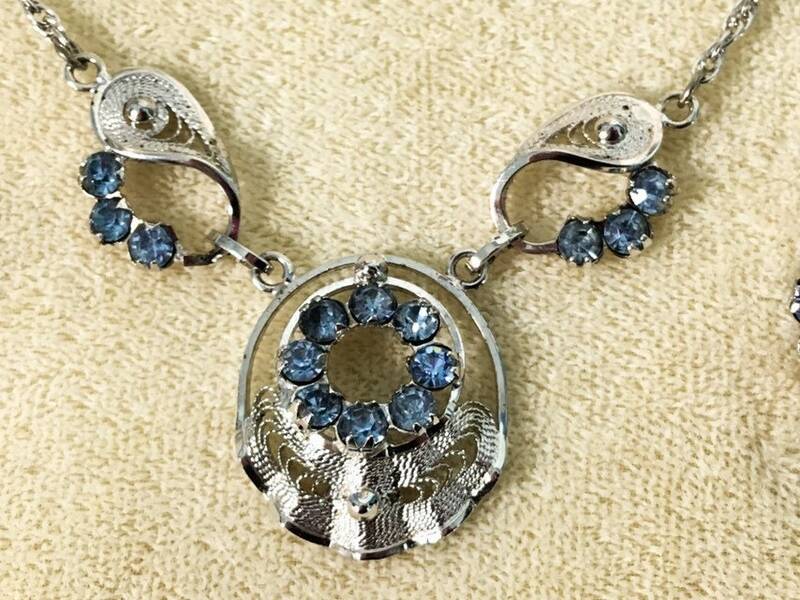 The necklace has a spring ring clasp that opens and closes securely. In nice vintage condition with in the original case with wear commensurate with vintage age.